DISCLAIMER: Only try this experiment after consulting with your doctor. Depression is a diagnosis that is home to thousands of individual conditions and situations. As a result, there is no single technique that will help everybody out of depression. You must try many different things, plain and simple, and continue with whatever works for just you. You can trial-and-error your way to healing. In order to do this, you must learn to error with style. Depressed people are sometimes not so good at this, because failure often blows up to gigantic proportions thanks to depression’s effective machine for intense self-criticism. “You idiot, you made a fool of yourself again.” “You never pull anything off.” And so on. The will and ability to fail, without letting the failure result in self-criticism, is something that can be trained. If you fail, you can remember that this is something you have experienced before and it is not so serious. I know that this will pass, if I just give it some time. Taking yourself less seriously, and perhaps even having a little fun in the trial-and-error process, can also help. Modern science is founded upon a central practice of trial and error. One creates a hypothesis, tests it in an experiment, and tries to disprove the hypothesis. If the hypothesis is disproved, it is thrown out and replaced with a new one. Then the process is repeated until something that appears true is established. Depressed people can also use this process. You can experiment with yourself and your own emotions and mechanisms, until you understand yourself better. When you understand yourself better, you have come a long way towards healing. This blog post includes an experiment, which I will return to later. One of the most frustrating traits of depression is the illness’ self-reinforcing elements. One has less energy, less self-confidence, little initiative etc. If each cell in the body screams for you to get back into bed and hide under the blanket, it is not so easy to get up and start the work of getting rid of depression. Being depressed is like walking through life in thick mud. Depression is a negative standstill. To get better, you need to get moving again – both literally and figuratively. One of the reasons I like to go walking so much is that my thoughts automatically become problem-solving oriented and dynamic. When walking, you constantly receive new impressions from your surroundings, and these impressions will change how you think. The critical, automatic thoughts will to a lesser degree end up in their old tracks if you are in motion. There is an antidote to the standstill ruminations, the fixed cyclical thinking and the tranquilizing gloomy emotions that may be found in depressed people. The antidote is rage. 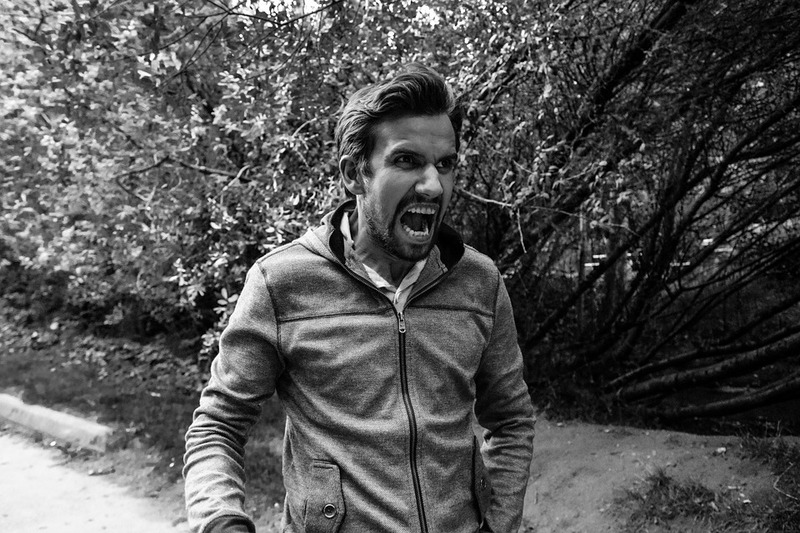 Even if anger is a potentially frightening thing, it can also be used for good intents. Most revolutions in the world (both the good and bad) occur because of the collective fury of a population that has attained a critical mass. And depressed people need a revolution, especially in the beginning stages of the healing process. You can use anger to give yourself an electric shock, a starting shot in the race towards a better life. Go out into the forest, or some other place where you can be alone, and where you can yell without anybody worrying about what is going on. Take with you a stick. As you walk, you can begin to growl quietly to yourself. Imagine that you are a warrior on the warpath, and that depression is the enemy. Now you are going to really give it to the beast, once and for all. Allow the volume of the growl to gradually increase, until it becomes a roar or a scream. Find a tree. Visualize that the Depression is the tree before you. Hit it with the stick. Hit it again and again and again, harder and harder and harder. Decide as you stand there and hit, that now you will really do what you can to get rid of this illness. It’s not certain that this will work the first time you try it. Maybe it will even worsen your situation in the short term. You should stop this experiment if you think it has a negative effect. Then you can try again another day, or try something else. The important thing is to do something; because it is through activity and motion that you will get better. If the experiment does what it ideally should do: create motivation, energy and momentum for change, you should make sure to act on it immediately. It may be a good idea to make a plan as to what kind of changes you want to achieve in life, and what you need to do to achieve that change, before you get constructively angry. If you don’t know what this plan could consist of, you can get some ideas from Rise from Darkness and other similar books.